I usually wear black shoes because they’re easy to maintain and go with everything, but I’m not very good at looking after my shoes. So when I discovered a tin of black shoe polish, I decided to polish all the black shoes I had in the house. The answer is no, I’m not a shoe person. I only have eight pairs of shoes. I started saying that actually that’s an old thing and I began to tear up and nearly burst out crying. See, I don’t have many happy memories of my dad. We were never close. We never spoke. We never I don’t know. But I do have sentimental memories of him. Things that remind me that he was my dad and my dad alone for a while. For example the sight of a tiny mini cooper, the old types where a man would have to fold himself into it, remind me of my dad because we had a red mini when I was about four or five. Every time I eat freshly roasted groundnuts with milky tea. Every time I buy Roast maize when I’m in Lusaka. The songs Buffalo Soldier by Bob Marley ; Shoot them before they grow by Brenda Fassie; Slave by Lucky Dube Ndima Ndapedza by Oliver Mtukudzi;; Hamba Sathane by Pure Gold. Even writing down the songs made my heart hurt. And every Sunday until I was about nine years old, my dad had a ritual that involved shoes. 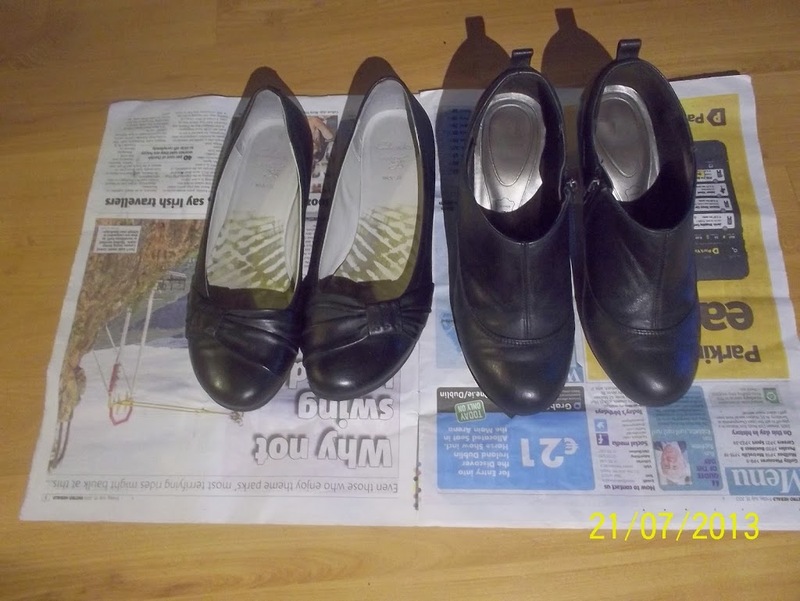 He would get two or three newspapers and cover the floor in front of him, then he’d ask me to get my and my sister’s black school shoes and he’d have his and mum’s black shoes. He would fill his pipe with tobacco and have it dangling from his lip, the smoke curling elegantly towards the ceiling and the room filing up with the bitter, intoxicating smell. When he abandoned the pipe and I was old enough, I’d be asked to light a cigarette for him on the stove (hey, it was the eighties) and he’d sit there , cigarette dangling from his lip, meticulously taking the dust or mud, depending on the season, off the shoes and onto one of the newspapers. He would then carefully apply polish to all of them and line them up on a clean segment of the newspaper, then sit back to read a book. He did this nearly every Sunday night when I was a child, or at least often enough that it’s stuck with me all these years. Later, I would sit there in awe, watching him the whole time and marvelling at the smooth movements of his hands as he shined them and lined them up, gleaming in front of him for me to put away. It was awesome. He always lined them up in the same order: His, mum’s, mine and my younger sister’s shoes. I don’t know if he arranged them that way out of sentiment, habit or practical reasons, and I’ll never know now, I suppose. So when I had the same in front of me, in Ireland, in 2013, it was haunting. I took a picture of it with tears n my eyes and today while I was emptying…whatever, the camera and came across it I had a lump in my throat.. I very rarely miss being a child, but sometimes I ache for those sweet moments and want to hold onto them, wrap them around me like a blanket, and never let go. I’ve just read all your archives and I love your blog. You just need lots more commenters! Huuka, what a lovely nostalgic post. When I see that photograph of shoes polished, it also reminds me of my Daddy, but my husband also still polishes like that on newpaper too. Old habits die hard I think. Carmel, I find it quite uncanny that this was the way it was done halfway across the world. And quite heartwarming too.